While traditional violins are classy and sleek, an electric violin should be a staple of a violinist’s collection due to their cool design and sounds. Electric violins are favored by many of today’s violinists because they deliver a much more progressive sound which can be used in various contemporary songs. They also sound great by themselves! An added benefit of electric violins (also known as silent violins) is that you can practice your violin without disturbing others. You can use headphones instead of an amp to play the electric violin so you can practice whenever you want, even at 3am! 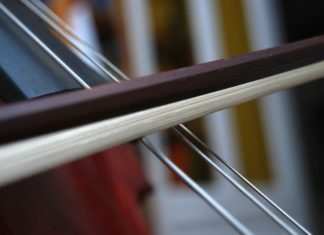 While you could always choose to use a violin pickup on a regular acoustic violin, electric violins have better sound quality and just look cool. Since these are electric instruments, you will need an amplifier to make sound. Make sure you buy a quality amp so that you get the best sound. We recommend the Fender Frontman. While it was made for guitars, it will work with violins as well. Electric violins come in various shapes and designs. 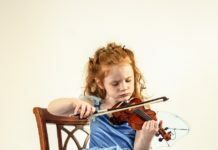 Due to the number of electric violins in the market, it might be difficult to choose which of these deliver quality features which could ensure optimal performance. To help you in deciding, we have listed the top 10 best electric violins on the market. Made by one of our favorite violin brands, the Bunnel NEXT electric violin is a great beginner electric violin that comes with everything you need. The Yamaha SV200 delivers a natural tone that mimics the sounds of a real violin. If you’re a beginner looking to try out an electric violin, this is a good fit. The sound quality isn’t that great, but for $70 you can’t go wrong. Electric violins come in all sorts of shapes and designs, and also feature a variety of features. While sound quality plays a major role in buying a traditional violin, it is not as significant of a factor for electronic violins because the sound from electric violins travels through wires and out via an amp. Deciding on which electronic violin to purchase can be a daunting task. One of the main reasons why is that electric violins are quite difficult to find at local music stores. Many of today’s electronic violins are bought online. On this article, we have compiled a list of the best electric violins on the market. The Bunnel NEXT Electric Violin does not need assembly for a complete setup. It could also be played readily the moment violinists would open the case. It produces an admirable and pleasing sound. The violin is handcrafted and solid-carved with a solid maple body. It is also equipped with ebony fittings and piezo-ceramic pickup. Its outfit, on the other hand, includes an instrument cable, a mini-amp, D’Addario Prelude strings, and a genuine Brazilwood bow, among others. Over-ear headphones are also included for at-home practice. 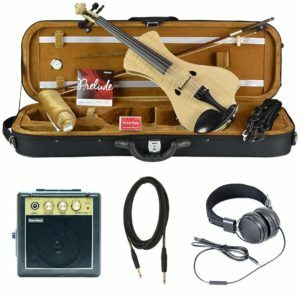 The kit includes headphones, an amp, batteries, bow and case. The Kinglos 4/4 Electric Violin Kit is constructed with a hand-carved solid spruce body with four detachable fine tuners. It is further equipped with an ebony fingerboard, a chin rest, and pegs. Its pick-up system includes a DV-9 active pick-up with tuners of volume and tone, a mic and phone, and socket of line out. 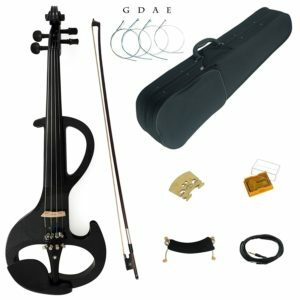 Its outfit consists of a case, rosin, bow, a shoulder rest, and a set of strings. The violin is guaranteed to produce a sound quality with a resonant and an intact tone. 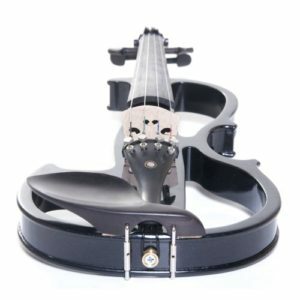 The Cecilio 4/4 CEVN-2BK Electric Violin is built with a handcrafted solid maple wood body with pegs, a chin rest, and an ebony fingerboard, among others. It delivers an optimal style and functionality whether you are practicing or performing on stage. 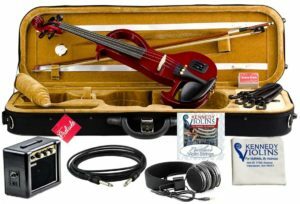 The violin package comprises a bow, a rosin, and a well-padded lightweight hard case. The electric violin is recommended for students and professional violinists. It comes in various colors to suit the preference of the player. The Yamaha SV-130 Concert Select Silent Electric Candy Apple Red 4/4 Violin feels like a standard acoustic violin when played. It is equipped with an onboard reverb so that its ambiance could be adjusted depending on the preference of the player. It is designed to allow violinists to practice silently any place at any time. Its circuitry offers a better sound quality while reducing the noise output. This electric violin could be used by violinists of all levels of expertise. The Bunnel EDGE Electric Violin could be set up without requiring assembly. It could also be played readily the moment violinists would open the case. The violin is hand-carved with a solid maple body. It includes control sliders to adjust its tone and volume. It produces a good sound for practices or performances. It is also equipped with ebony fittings, D’Addario Prelude Strings, and a responsive Brazilwood bow. Over-ear headphones are also included for at-home practice. The violin and its equipment could be stored in a hard case. The Yamaha YEV105NT Electric Violin light and easy to use violin which is designed for professional violinists. The YEV105NT is a 5-string violin which means that you use viola strings as well to provide the low C string. Its design is simple yet visually appealing. It has a great sound which is clean and appealing. The violin is made from six various kinds of wood that add to its overall resonant and organic sound. It is a silent violin, but does not come with an amp. The Yamaha SV200 Silent Electric Violin is constructed with various kinds of wood that add to its overall resonant and appealing sound. Moreover, it delivers a natural tone and pure tone that increases its expression. Its oval-shaped neck has a specially formulated finish that offers an authentic acoustic violin feel. The electric violin comes in various attractive and sleek designs. Users of diverse expertise could practice using the violin in silence. 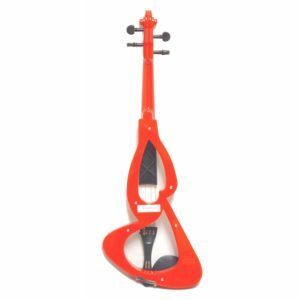 The Crescent ViolinSmart EV20 Electric Violin comes in an attractive and appealing design for its price. It comes with a bow, a rosin, and a padded case, among others. It also includes headphones so that users could practice the violin without disturbing other. Violinists of varied expertise – from students to professional musicians – could use the electric violin in rehearsals or performances. The D Z Strad 4-string Electric Violin is professionally and appropriately set up, tuned and ready to go. Its sound quality is appealing and resonant. It is equipped with pegs which are reliable and smooth. It also includes ebony pegs and a fingerboard, a Brazilwood bow, and a D Z Strad violin case. Beautiful and dependable, this electric violin is a great choice for professionals. 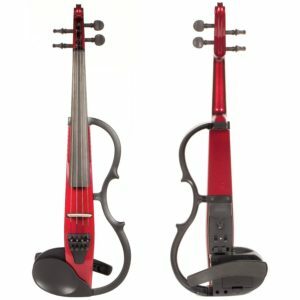 The Cecilio L4/4CEVN-L1NA Electric Violin is constructed with a hand-carved solid maple wood body with ebony fingerboard, pegs, and chin rest. Its Brazil wood bow is comprised of an authentic unbleached Mongolian horse hair. It delivers an optimized functionality and style whether you the player is on rehearsals or performing on stage. The electric violin is recommended for students and professional violinists. It comes with an attractive and fashionable design. The electronic violin could be stored in a lightweight case when not in use. 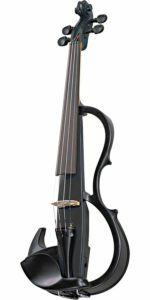 We looked at a lot of different electric violin brands and narrowed our list to only the top 10 electric violins by setting up relatively strict criteria to adhere to during the reviews. 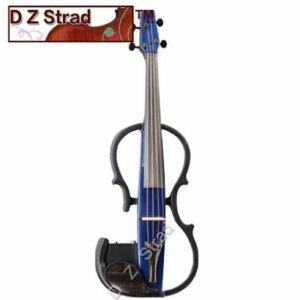 When looking for the best electric violins in the market, you should consider scrutinizing the features which they offer. Each of these electric violins provides distinct features and styles which may suit to the preference of a violin player. To guide you on how you are going to pick the best electric violin, you should consider the following features. The construction of the electric violin is one of the primary features which you should look for. Primarily, the electric violin that you should choose should be sturdy and has a well-thought-out design. When an instrument is durable, you are ensured that your electronic violin is built to last a long time. The reputation of the violin brand should also be taken into consideration when looking for an electric violin. Usually, brands that have earned a good reputation for consistently producing quality instruments. It is worth noting that this feature is not absolute since certain brands are also able to produce good instruments. When buying a new electric violin, you should consider your budget. You should see to it that instrument that you will purchase will deliver significant features which are commensurate with its price. Consider picking the electric violin which is equipped with the right characteristics you are looking for but would still fit your budget. 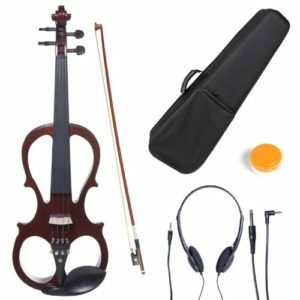 These are just some of the features which you should consider when looking for the best electric violin from the market. However, it should be noted that the final decision on which electric violin to choose from will depend on the preferences of the violinist who will use it. When deciding on an electric violin, make sure you choose one that fits your style. While sound quality is a component, it is not as big of a driver as with regular acoustic violins. Choosing an electric violin that fits your style will make you look and sound that much better.